Utah Beer: St. George Brewing Company in Utah? I heard Strap Tank was opening a location in St. George. Could this be connected to that rumor? Yeah, I though about that. It has to belong to a local brewery. I have an update on this brewery. It is apparently owned by Ellis Island Casino and Brewing out of Las Vegas. It's currently being built in an industrial area in St. George and it will be a production brewery. 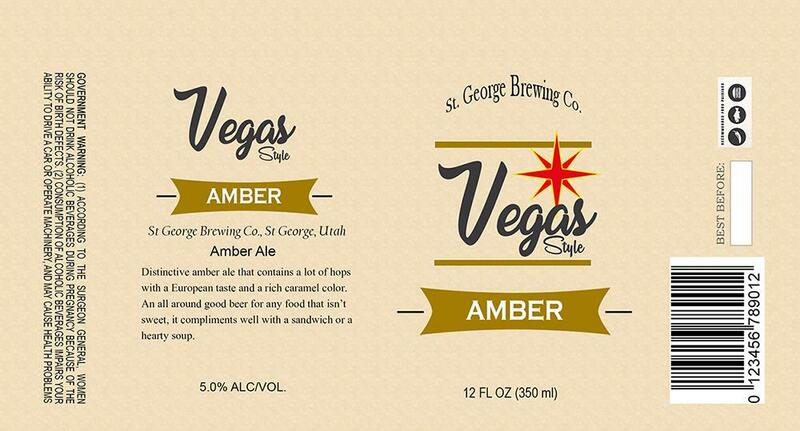 It appears the breweries main function is feed the Vegas market, but it will also sell in Utah. It will likely have a tasting/taproom at some point as well. Actually, St. Georges Brewing Company is a partnership with Ellis Island but not owned by Ellis. @brewdogg77 So what are their plans for production? Most of the beer will be shipped to the Vegas market. There will be a tasting room as well as room for events. Canned beer and other merchandise will also be for sale on site. @BustedKnucks Yes, It's owned by Ellis Island Brewery and Casino. I'm curious to see what name actually goes on the building. Thanks for the update! Hey all, I've never posted here, but I stumbled on to this thread. I may be able to clarify some information on this....maybe. I am good friends with the managing partner of this facility and although he has been trying to get me over to check everything out during the build process, I finally got over there to check it all out, this past weekend...and just for the record, I am a homebrewer...just didn't want to get beat down to bad for not "knowing" beer. :-). Yes it is owned by the same guys that own Ellis Island Brewery and Casino. My friend, the "managing partner" lives locally, here in Washington Utah. So, he wants to see good, small production beer here. It will be called, Silver Reef Brewing, unless he changes his mind between now and opening, in 30 to 40 days. It's a really cool facility that they are building. 90% of the beer produced will stay here in Utah, with the other 10% going to supplement the Vegas operation for seasonal or specialty beers. However, the beers produced here will be different from the beers produce at their other location. There will be a huge bar in the facility, for tasting and purchasing. He will be bringing in food trucks, have outdoor areas with tables, and yard games, etc.. There are also plans to have homebrew competitions. He really is trying to do it right, IMO. He has also gotten his distillery license and wine production license. He will be working in conjunction with Iron Gate Winery for the wine side production, but will be providing the grapes. I don't know, I'm super excited to have something like this in St. George. It's long over due. The owner is a super nice guy, and he's local. I didn't get to meet the head brewer when I was there, but I did meet one of the brewers. I'll see if maybe I can get one or both of them to chime in and maybe they can answer any specific questions. I hope that I helped a little and I hope that you'll help support this Brewery!! Thanks for sharing interesting information about home brewing store.